J.K. Rowling's Harry Potter books and movies hit the pop culture scene like a revolution. And like any true phenomenon, they spawned a series of board games, with some better than others. Here are our picks for the best board games based on the world of Harry Potter and the Hogwarts School of Witchcraft and Wizardry. ​The fun in this version of Clue is that the game board has wheels that move the rooms and reveal secret passages and moving staircases as you solve the mysterious disappearance of one of the students. You play as a character from the world of Harry Potter. You must use spells to repel the Dark Mark as you race to discover the culprit. It's for ages 9 years and up and for three to five players. You can find different versions of Harry Potter Trivial Pursuit games. This one is a compact game suitable for use in the car. It has 600 questions based on the Harry Potter movies rather than the books. The goal is to answer 12 questions correctly to win. It's quick to play and very easy to store. You'll be happy you have this along to entertain the kids whether in the car or visiting the grandparents. 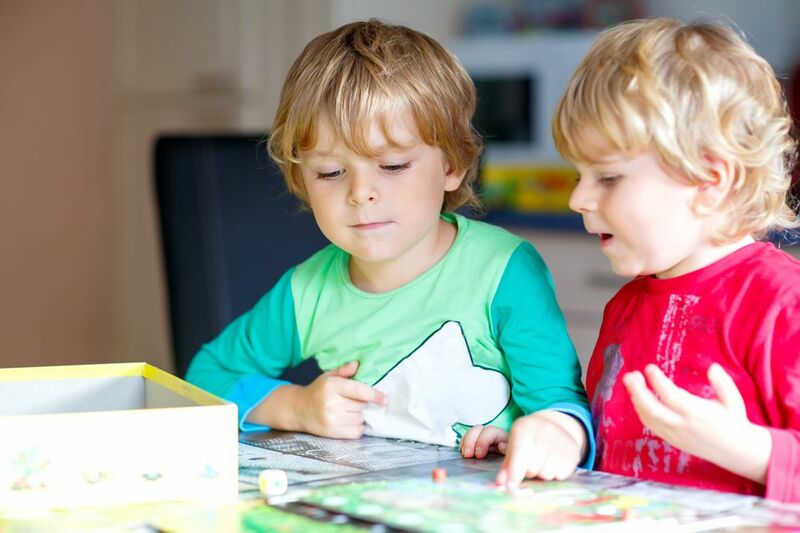 This picture trivia game is suitable for ages 7 years and up. There are over 1,000 questions from the Harry Potter movies, including "Fantastic Beasts and Where to Find Them." This trivia has a social angle as you have to guess answers about your fellow players. Challenge your friends and family with 1800 questions from eight Harry Potter films. You get a custom game board with pieces shaped to represent the four houses of Hogwarts—Slytherin, Hufflepuff, Ravenclaw, and Gryffindor. The starter set is inexpensive, but this is a collectible game, so you may wind up purchasing booster packs. Players cast (toss) the stones, trying to generate good combinations. The most basic game plays a bit like Rock, Paper, Scissors, as spell beats potion, potion beats charm, charm beats spell. More advanced games have additional rules. It was first issued by Mattel in 2001. It's played with two players. The recommended ages are from 8 to adult. 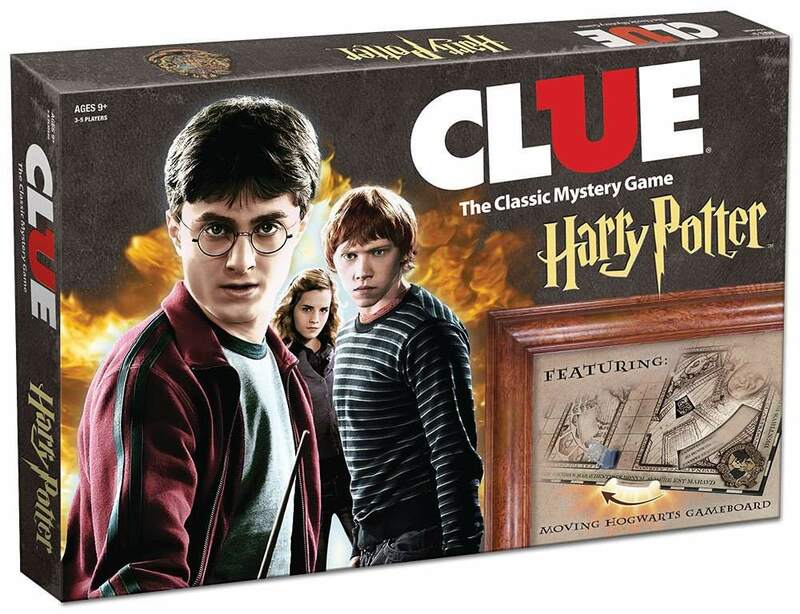 It bears more than a passing resemblance to Clue, but Mystery at Hogwarts has just enough originality to warrant its own place in your game collection. A roaming ghost and from die are among the enhancements, and the game works well with the Harry Potter theme. There are secret passages you must find, which makes it different from Clue. You move around a Hogwarts School of Witchcraft and Wizardry board and try to guess which student wizard used which spell and where. It's designed for two to six players (it's best with at least three players), ages 8 and above, just the right age group for Harry's entry into Hogwarts. Players enjoy the excellent artwork on the game board, game pieces, and cards.